You know what the hardest thing about going to the the gym is? GOING to the gym! Especially when it’s freezing outside during the winter. That’s why a lot people have decided to invest in their own fitness equipment, organize their garage, and work out from home. Your garage is actually the ideal place to set up your own home gym. It’s out of the way, it’s free from the normal, everyday distractions of your house, and it is spacious enough for you to move around in. Whether you work out with weights, prefer more of a cardio-based workout, or engage in sport-specific training, the garage is the best place for you to set up your ideal home training area. But where do you start? Here’s a quick guide to help you get started transforming your garage into your fortress of fitness solitude. When it comes to flooring in your home gym, you’re going to want something that is strong enough to protect your original concrete floor from weights when they drop, yet soft enough to lessen the impact on your joints. Rubber stall mats work great. Rubber stall mats are strong, flexible, insulating, and they last a long time. Most important, they are easy to cut and shape. Just like you would with carpet squares, you can cut and shape the stall mats to the dimensions that you need them to be. Make sure you measure out the square footage of your garage floor before you purchase the mats at your local hardware store or tractor supply store. Another option for your gym floor that might be a little easier to install are foam tiles. They fit together like puzzle pieces and they are great for providing a softer protective surface for your weights. The only problem with foam tiles is that they can’t be cut to size very easily. Again, whichever type of flooring you choose, make sure you measure out your square footage accurately. We’ve all seen YouTube videos of people doing pull-ups and the bar gives way and they fall to the ground. Every single one of them are hilarious. But it’s not really all that funny for the people in the videos. Let’s avoid that kind of disaster altogether. If you have metal studs in the ceiling of your garage, you’re going to need a special drill bit that will allow you to drill into the metal. When drilling the holes for your pull-up bar, make sure you are drilling into the center of your studs and not on the edge. If you drill on the edge of the studs, they’ll rip out easily. Also, make sure you drill deeply enough into the studs so that your screws are firmly anchored. A good depth to drill would be three inches with a 3/16 inch drill bit. You can apply similar techniques when installing a heavy bag or speed bag in the ceiling of your garage. Another thing to keep in mind when deciding how to organize your garage, is to make sure that you install your home training facility in a location where you won’t be constantly running into it or be in threat of bumping your head. 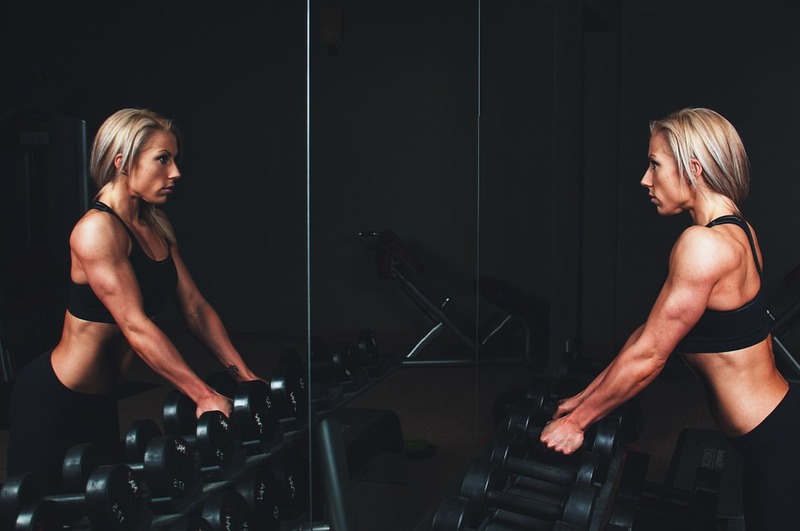 There’s a stigma that says using mirrors in a gym is pointless, but there’s actually a really good reason to use them in your home garage gym. For starters, it helps you maintain good technique when stretching or weight lifting because you can see exactly what you’re doing. Another good reason to have mirrors in your garage gym is that it makes your space feel bigger than it actually is. This can make you feel more comfortable and avoid claustrophobic feelings. When installing wall mirrors, again, just like when installing overhead equipment, it’s important to find the studs in your walls. So grab your stud finder and mark off the center of the stud so that you aren’t just drilling into drywall. It’s also important to keep mind, that although mirrors can look great, if they break or fall, they can be dangerous. So if your walls just aren’t designed to support anything heavy hanging from them, mirrors might not be the best option for you. While using your garage as a workout space, it’s really important to be able to store your fitness equipment properly. 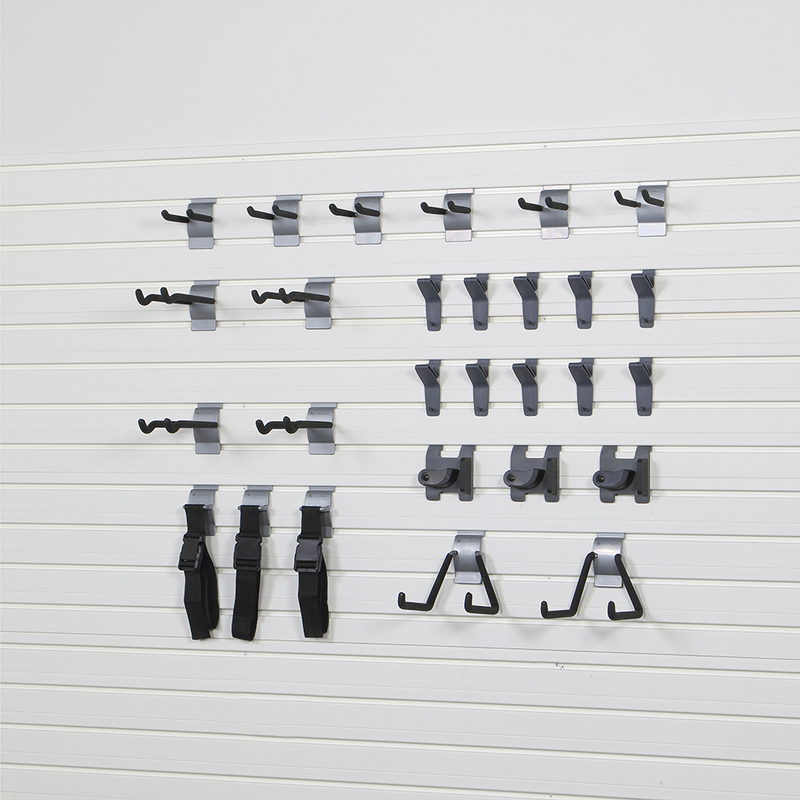 Wall hooks, like the garage hooks from Flow Wall, are perfectly designed for workout equipment storage. By installing them on your wall, you’ll be able to keep your bike stored securely and out of the way while you exercise. You can hang jump ropes, workout bands, towels, and other gym necessities that you’ll need throughout your workout. They’re also great for keeping non-gym items like hoses, extension cords, ladders, rakes, or shovels out of your way while you work out. This lets you use your garage as a storage area and workout area at the same time. The most important thing to remember when creating a garage organization plan for your home gym is to keep things safe. There’s no point in setting up a home gym if you’re going to injure yourself during a workout due to a lack of attention to detail during the construction process. If you take the time to plan everything carefully and keep these helpful tips in mind, you’ll be able to stop wasting money on gym memberships and make getting back into shape an easier challenge to overcome.